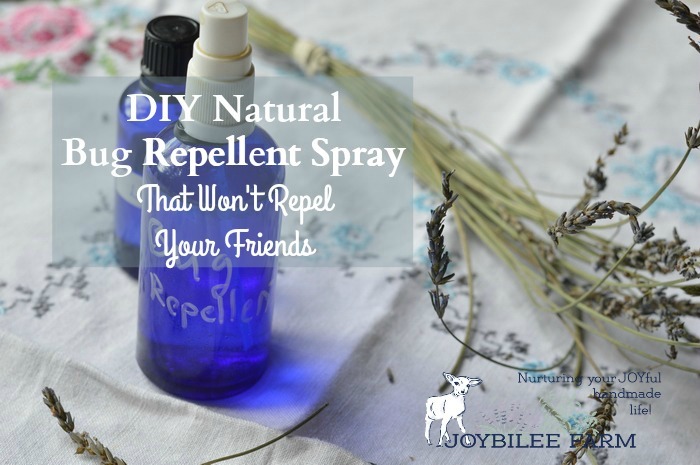 This natural bug repellent spray is useful to protect against ticks, horse flies, mosquitoes, and gnats. The strong scent of essential oils essential oils is a natural repellent that makes biting insects look for another victim. Essential oils are highly concentrated and need to be used at the proper dilution to ensure safety. Please don’t add extra drops of essential oil. This ratio of essential oils to hydrosol is safe and effective for use directly on the skin. You can also spray it on clothing and on shoes for further protection. When purchasing essential oils, choose certified organic essential oils from a reputable essential oil source, such as Tropical Traditions (affiliate) or Mountain Rose Herbs. While essential oils found in the grocery store are less expensive many are diluted with cheap carrier oils or contain artificial fragrances which can be dangerous and are ineffective. You’ll need a 4 ounce glass or PET plastic bottle with a spray lid for this recipe. While glass is preferred, if you are making this recipe for camping or for the beach, PET bottles are a suitable substitute. They are nonreactive and won’t leach toxins into the essential oil mixture. This bug repellent protects against biting flies, mosquitoes, ticks, midges, and black flies. However, note that each essential oil chosen for this blend is not 100% effective for all insect pests. It’s the synergistic blend that covers you against blood sucking insects. Invest in lavender hydrosol for this recipe. 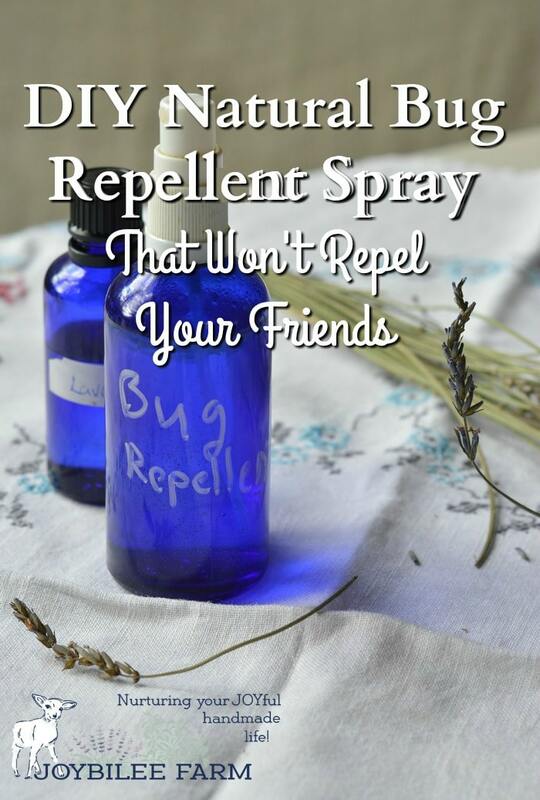 (I bought mine at Mountain Rose Herbs) The lavender offers its own bug repellent actions, but it is also calming, soothing, and skin healing. It won’t sting where the skin has already been broken with insect bites and scratches, in the same way that using vodka, rubbing alcohol, or vinegar will. It also won’t dry or irritate the skin. Lavender hydrosol is safe for children, babies, and pregnant and nursing moms. 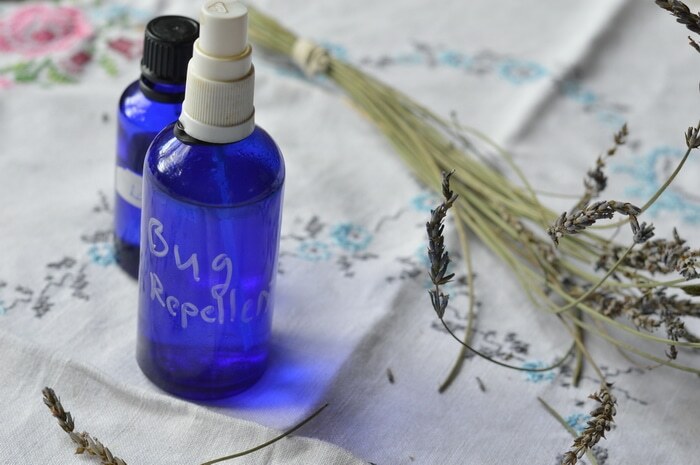 Make this natural bug repellent for a gently scented bug repellent that will scare away the bugs without driving away your friends. Clean and sanitize a 4 ounce glass or PET bottle with a spray lid. Add the hydrosol to the bottle first. Measure the essential oils carefully by the drop directly into the bottle. Cap and shake to combine. This ratio of essential oils to hydrosol is safe for adults and children 8 and up. For children under 8, remove the eucalyptus essential oils from the recipe and reduce the other essential oils by half. Sometimes eucalyptus can cause breathing problems in young children. Those who are allergic to lavender may substitute majoram essential oil for the lavender essentail oil. Can I use lavandin hydrosol in place of lavender hydrosol in this recipe, and still have the same quality bug repellent? 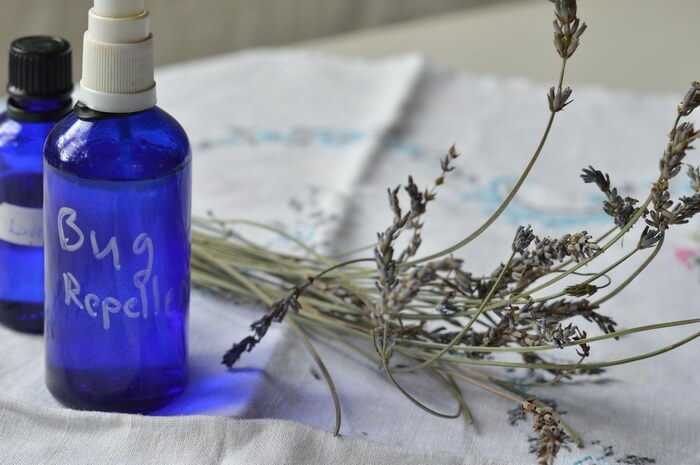 What is your source for lavender hydrosol? I get mine from Mountain Rose herbs.